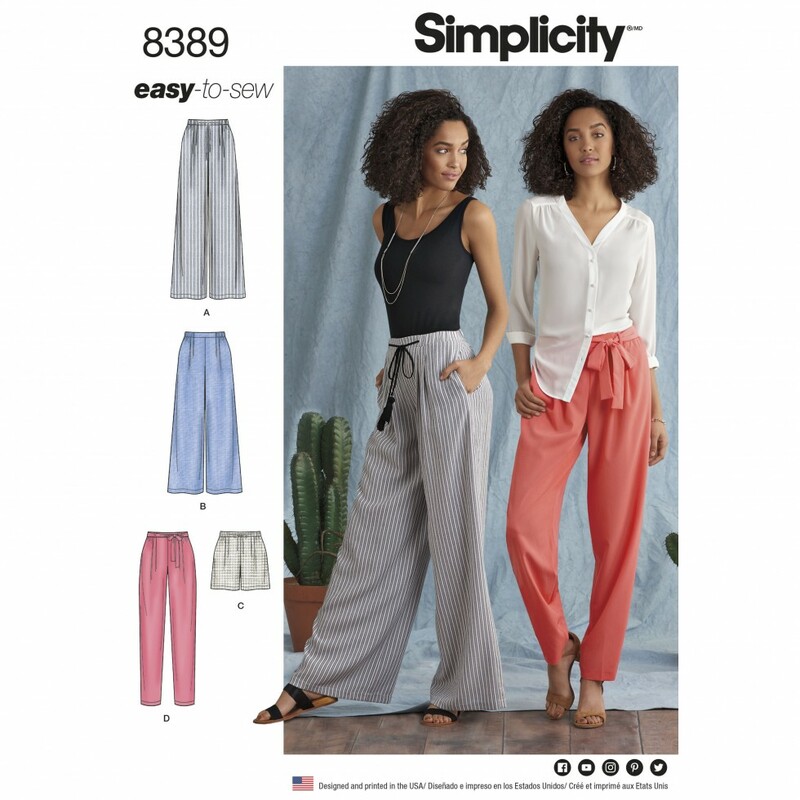 Easy to sew Women pants with length variations are roomier at the top making them the perfect pant to add to your summer wardrobe now. Pattern includes long pants with a wide or narrow leg, a cropped wide leg pant, and shorts. All views have an elasticized waistband ending at the hip bone and finished off with a flat panel at front where you can add your choice of drawstring cord, tassels or a fabric tie belt. Simplicity Sewing Pattern.